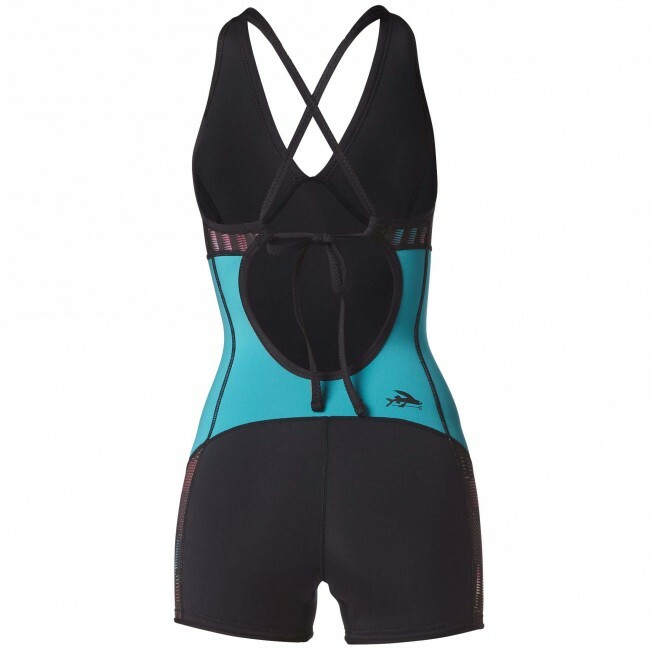 The Patagonia R1 Women's Spring Juanita Wetsuit holds snug to the body for maximum comfort and flex. The R1 Juanita graceful princess seams on the front, keeping you stoked and smiling on those playful longboard days. High-quality neoprene provides excellent stretch and warmth, while the deep V-neck and adjustable cross-back ties allow for a customized fit. Spandex binding at the leg openings has a clean finish and zigzag coverstitch to lay flat on the legs. Seams are sewn with flatlock construction for durability, and all critical seams and wear areas are secured with glue dots, one-centimeter bartacks and Melco reinforcements. this is my second Juanita! I love its comfort, extra warmth and well, it looks amazing! i will likely order more.